Interview with a Málaga local! Trying to better understand the numerous summer activities that Málaga has to offer, I decided to get in touch with Málaga local and ISA Assistant Director, Iker Villamarin, to see what he could share about his town. The 2015 City Discovery Series will showcase one of ISA’s program locations each week. Facts about each location and Discovery Compass activity examples will be given, highlighting the areas of Intercultural, Historical, Sociopolitical, Professional and Environmental discovery. The Discovery Compass aims to help students have the best possible study abroad experience by helping them to gain a better understanding of the local environment, customs and people through a variety of experiences. 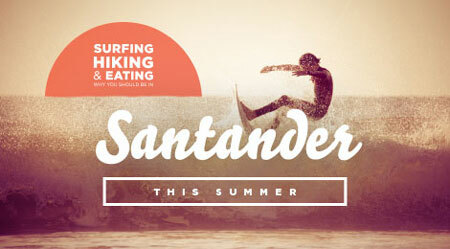 This summer, drop into Santander to surf some of Spain’s most radical waves, cross Cantabria’s labyrinthine hiking trails, and nosh on succulent mariscos and pescados pulled right from the Bay of Biscay!